Glen’s career has combined electrical engineering with a long-standing interest in archaeology. His first exposure to archaeology came in 1973 as an undergraduate at MIT, when he joined a Harvard team excavating the remote site of Tepe Yahya in Iran. Although he was not able to return to archaeology for another twenty years, it became a life-long passion. At MIT, Glen participated in the development of some of the first home video games. He went on to Harvard Law School and after graduating started three companies, Compliance Design, an instrumentation maker, Compliance Engineering, a technical publisher, and Dash, Straus and Goodhue, an engineering consultancy. In the 1990’s, Glen sold all three companies to a multinational. In 1996, he returned to archaeology. He formed the Glen R. Dash Charitable Foundation, a 501(c)3, also known as the Glen Dash Foundation for Archeological Research. The Foundation uses state of the art survey and remote sensing techniques to aid archaeologists in their efforts to better understand the archaeological landscape. Since then Glen has worked in Egypt, Greece, Cyprus and the United States. In Greece, Glen used radar to search for the classical city of Helike on the Gulf of Corinth, destroyed and submerged in an earthquake in 373 BCE. In Cyprus, using magnetometry, Glen mapped the island of Yeronisos, thought to be part of the empire of Queen Cleopatra VII. In the US, Glen worked at the historic Saint Ignatius Church in Port Tobacco, Maryland, attempting to locate part of the Underground Railroad. But most of Glen’s work has been in Egypt. 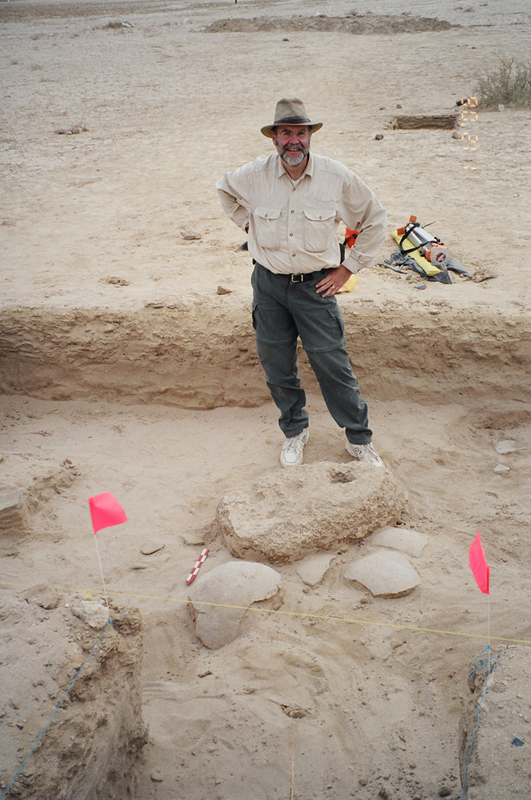 As part of the Ancient Egypt Research Associates’ Giza Plateau Mapping Project, Glen and his Foundation have conducted numerous surface and subsurface surveys across the ancient necropolis. These included magnetometry and GPR studies of the Workers City, an electromagnetic induction (EMI) survey in association with Tremaine Associates, and GPR surveys of the Menkaure Valley Temple, Khentkawes Town and south of the Khafre Valley Temple. In 2010, his team probed the internal structure of an enigmatic masonry box attached to the rump of the Sphinx working for Dr. Zahi Hawass, then General Secretary of the Egyptian Supreme Council of Antiquities and later Minister of Antiquities. At Egypt’s Wadi Gawasis, a port on the Red Sea from which the ancient Egyptians launched expeditions to the fabled land of Punt, Glen conducted magnetometry, EMI and GPR surveys which succeeded in identifying the location of the ancient harbor there. In Egypt’s Valley of the Kings, Glen and his Foundation undertook several seasons of topographic and radar work in support of Dr. Zahi Hawass’ expedition, including surface and subsurface surveys throughout the Main and Western Valleys. Returning to Giza in 2012 and in subsequent years, Glen and his Foundation resurveyed the base of the Great Pyramid. Using the data they accumulated as well as data from Ancient Egypt Research Associates’ archives, Glen was able to provide new estimates for the size and orientation of Great Pyramid. Their work also resulted in new and more accurate maps of the major monuments on the Giza Plateau. Recently Glen has been testing various theories regarding the alignment of the pyramids in an attempt to identify how the ancient Egyptians could have aligned the huge monuments so accurately with relatively primitive tools. His work has shown that the Egyptians could have achieved their results using only wood, rope, stone and copper by observing either the sun or the stars.